12V DC power. You can use this battery to power our powerful wireless transmitter, CCTV camera and so on. Suitable for your need. Super storage capacity. With working indicator. Specially designed for the system devices which use 12V power. Built - in ON/OFF switch to save power usage. Large mah value means long battery life. Over - charge/discharge protection. 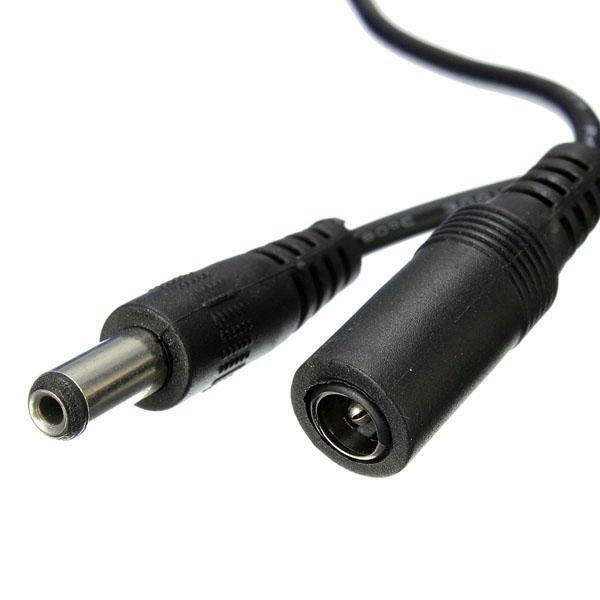 1) Insert one dc charger connector into either dc sockets. They both acts as charge and discharge lead. 2) Insert the plug end of the charger (wall wart) into the power bar or wall outlet. 3) Press the switch on the battery to “I” to begin charging. If you do not set the battery switch to I it will not charge! The charging time will take around 8 hours. 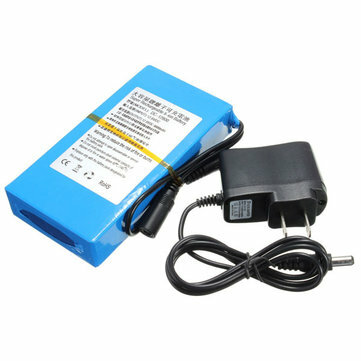 5) Switch to O when you are done charging and want to store the battery and remember to disconnect the battery from the charger and outlet. 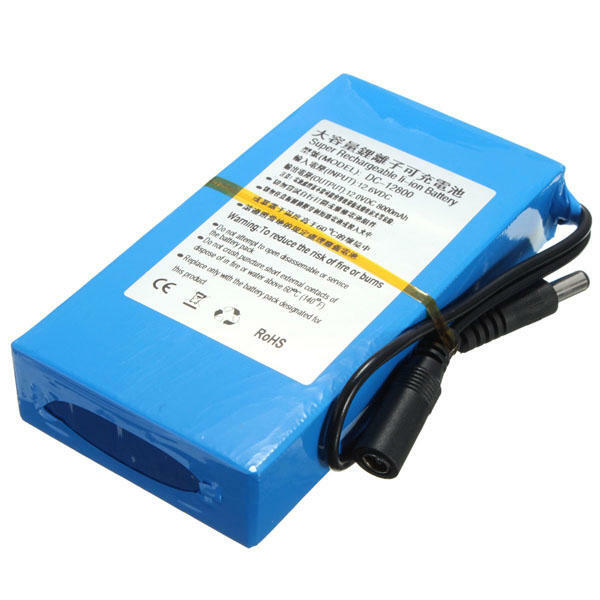 Battery type : Rechargeable Li - on battery. pls trun on the switch when charge for this item. And if you want to measure the voltage, suggest using pointer multimeter. Because digital measure table easily jump table. 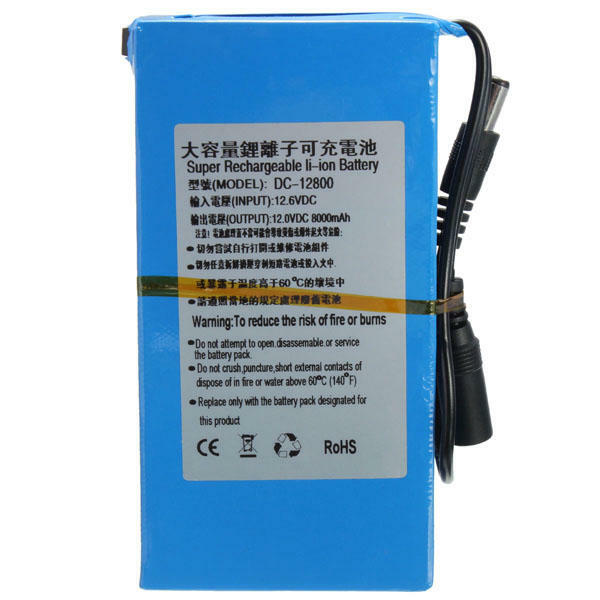 If the item is not 10.8 - 12.6V, pls trun on the switch again.